From @BalancingMama: Holiday in the Park at Six Flags Over Georgia: sparkles and laughs! 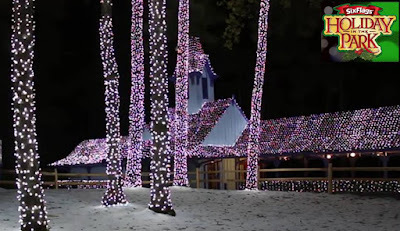 Holiday in the Park at Six Flags Over Georgia: sparkles and laughs! 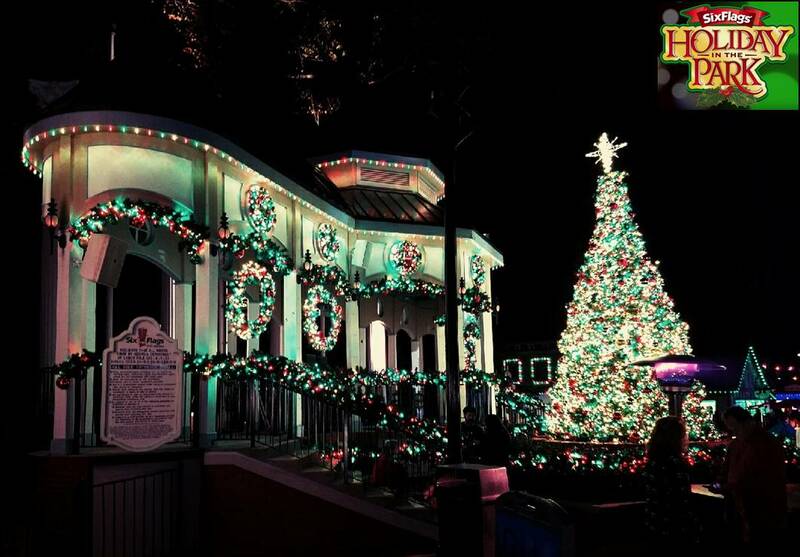 Holiday in the Park 2017 opened at Six Flags Over Georgia and runs from November 18, 2017 through January 3, 2018. 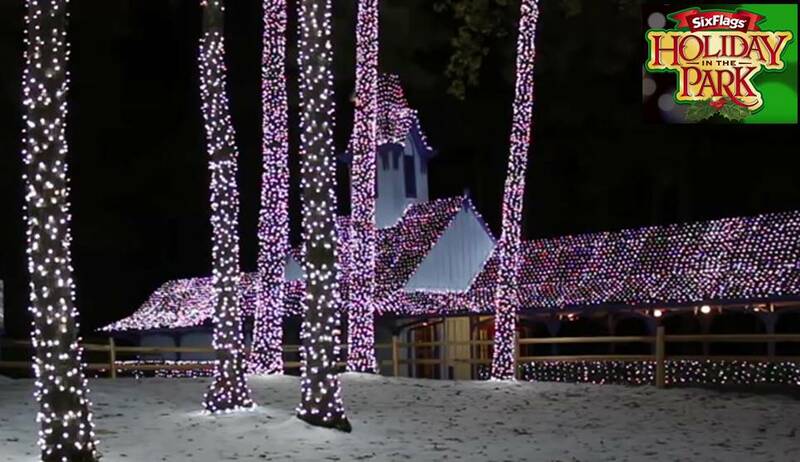 This is the 4th year for the sparkling wonderland of music, rides, and treats. Holiday in the Park features a variety of delightful and interactive activities to get you in the holiday spirit. We are season pass holders to Six Flags Over Georgia (including Hurricane Harbor and Whitewater), but this was a media night experience with a couple extra perks. All opinions are 100% mine. This Atlanta-area winter event is fun for all ages. Our 9-year old adrenaline junkie screamed and giggled on coasters like Superman, Mindbender, and the 20-story high 70 MPH awesomeness that is Goliath. Our smaller child is about half an inch under the 42" milestone but he had a blast on the twinkling carousel, Wonder Woman Flight School, The Batcopters and more. 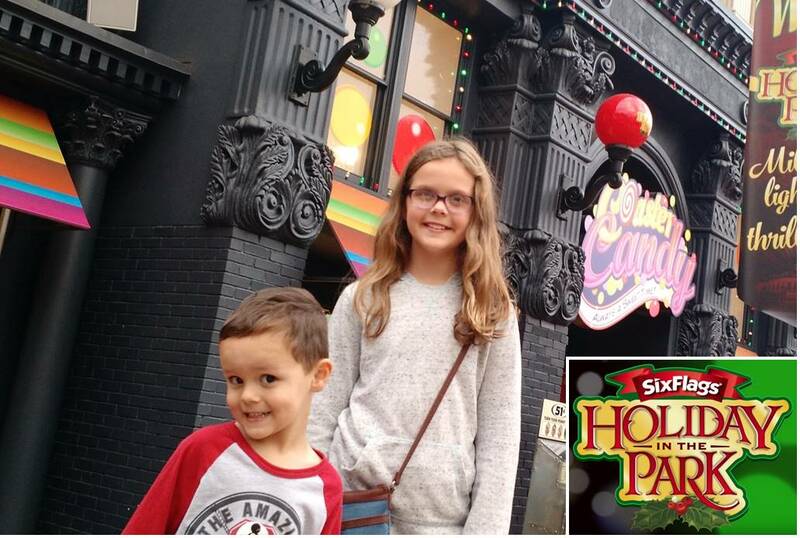 Six Flags Over Georgia is all about family fun during the holidays! The husband and I finally got a chance to experience Justice League: Battle for Metropolis, thanks to the parent swap option. The nightly tree lighting earns ooohs and aaahs at 6 pm at Main Street. Other Holiday in the Park entertainment includes carolers, the Retro Christmas USA special, and Because it's Christmas, the heartwarming holiday show about love and family. Hungry for some dinner or a sweet treat inside the park? You can create your own s’mores, enjoy a meal, or warm up with a cup of hot chocolate. Or, indulge in a red velvet funnel cake or apple cinnamon and pumpkin spice pretzel. Yum! This is the absolute best time to buy a season pass for Six Flags Over Georgia and Whitewater! If you purchase your 2018 season pass during the low-price holiday special (black Friday through Cyber Monday), you can enjoy Holiday in the Park now and all of the other exciting attractions at Six Flags, Hurricane Harbor, and Whitewater through all of next year! Passes during this special sale also include FREE PARKING. If you are anywhere near the Atlanta area, it pays for itself. Images are from BalancingMama and Six Flags Over Georgia on YouTube.